AeroGlass is an augmented reality headset for pilots. Advantage of the product is that it does not show information in a single instrument or display, but projects it onto the field of view the pilot. As a result, the displayed data are in the line of sight and appear where they are in reality. The product is built on an existing pair of smart glasses and expands its capabilities. 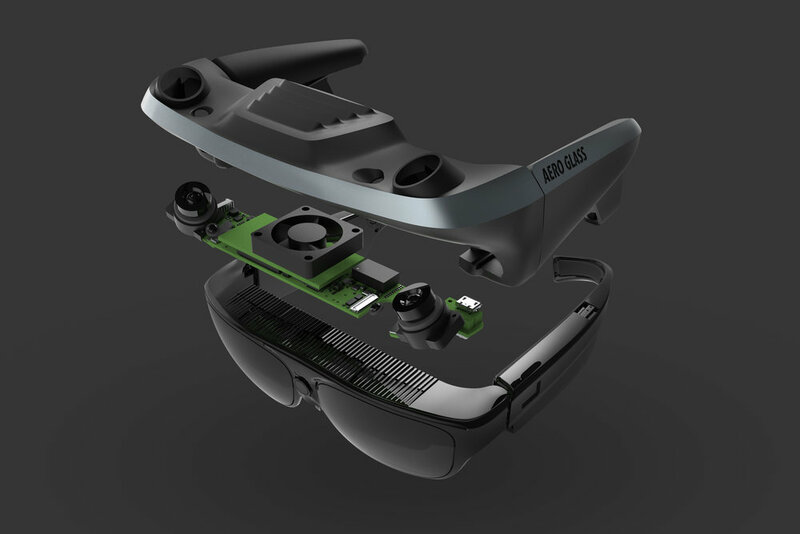 AeroGlass is made up by two parts, the smart glasses and the external module. The module had to be designed to form a unifield product together with the glasses. On one hand, they have to be mechanically fastened together, and on the other hand, they have to find consistency in their shape and style. The aim of the product is to make pilots’ daily life easier. The augmented reality glasses allow the pilot to see the important information without having to look at a display. AeroGlass doesn’t cover the pilot’s vision so traditional instruments can be used without any problems. In addition, all the information appears wherever it should be in space. During navigation, small arrows show the directions. The names of the cities can be seen written above the actual cities.